atl | the creative bazaar. 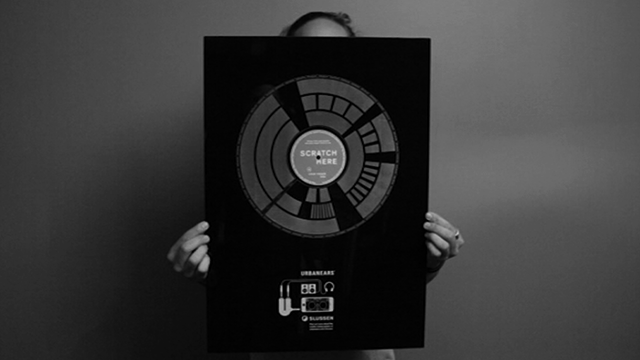 Scratch Poster – Urban ears. An interactive analogue sound poster launched for Urban Ears new product Slussen, a mobile DJ mixing system app for iPhone. The illustration is engraved with ridges, that in the design produce sound as they are scratched with your fingernail. Better sleeps for everyone – Ikea. Ikea wishes “Better sleep for everyone” with a nice integrated campaign just launched in Sweden to promote its beds and mattresses collection. They got in touch with 6 music artists and asked them to interpret and make new recordings of well known lullabies. The songs will be soon released through Sony Music, and will be available to download on iTunes and Spotify. The artist also recorded 6 music videos that are going on air on TV in short cuts, but are also available online in full length. Interesting small but important detail: each bed was chosen specifically to fit each artist according to their height, weight and sleeping position.